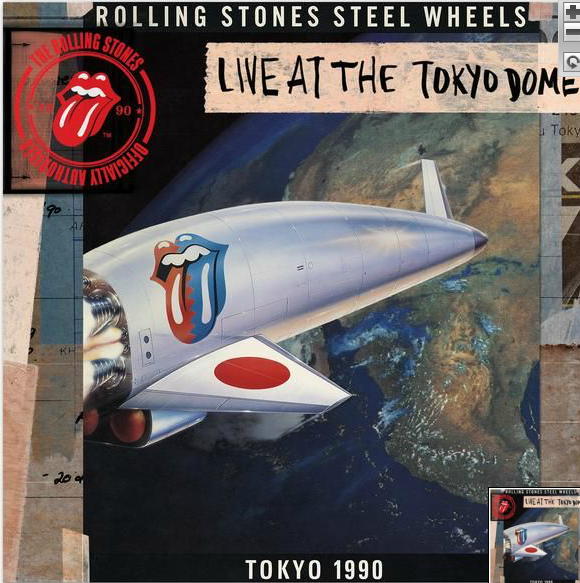 New official Rolling Stones bootleg: Live at Tokyo Dome 1990! 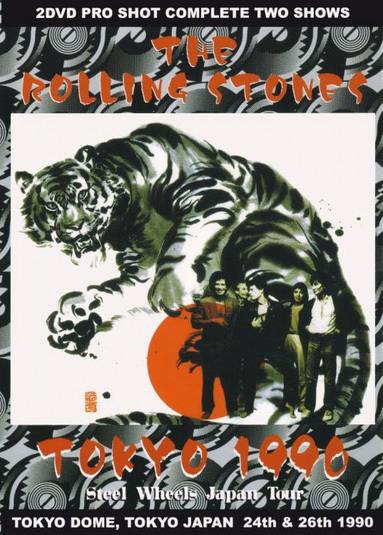 In their excellent series of official bootlegs the Rolling Stones has released an album of tracks from their run at the Tokyo Dome in february in 1990 (10 concerts!). Japanese authorities wouldn’t allow the Rolling Stones into the country until 1990’s Steel Wheels tour, so by the time Tokyo fans got to see them the danger of the ’60s, the decadence of the ’70s, and the acrimony of the ’80s were all well behind the band. On their first tour in seven years (and their last with original bassist Bill Wyman), the Stones were in what Keith Richards describes as a “joyous” mood. That sense of glee is palpable on the many new numbers (“Sad, Sad, Sad” features some particularly fiery riffing from Keith), but it also infuses many of the old hits, as you can hear on the track “Miss You.” The massive stage and global tour set the template for the next two decades of live Stones. Denied permission to play in Japan in 1973, the band were finally welcomed with open arms in 1990, when they played a ten night residency at the 55,000 capacity Tokyo Dome. This album was recorded at the show on 26th February, and features Mick Jagger, Keith Richards, Charlie Watts, Ronnie Wood and Bill Wyman, who in August of that year, would play his last ever show with the Rolling Stones. The touring band included Bobby Keys, Chuck Leavell, Lisa Fischer, Cindy Mizelle, Bernard Fowler, Matt Clifford and the Uptown Horns. The Steel Wheels/ Urban Jungle tour became the highest grossing tour of all time. But it’s not just the figures that set this show apart from others, the Rolling Stones revisited songs from their psychedelic period such as “2000 Light Years From Home” and “Ruby Tuesday”, with cosmic results. In 2012 Bob Clearmountain applied the mix. It’s a much bootlegged release both on cd/digital audio and double DVD, but never ever has it sounded this good! My god, it is so fresh and vital. It’s so strange to hear a concert from a period that were treated quite un-enthusiastical by a lot of critics and listeners at the time. It has definitely stood the test of time, hell, it is much better than it was given credit for at the time. They had a big backing band on this tour (not to everyones taste, I know…) but the sound is full and very, very good. Head over and buy it here, it’s both in mp3 and flac formats and it’s cheap! It is the fourth release in the series, and even if it is for me the fourth best in the series, it is still fantastic value for money, and better than almost everything else released these days.